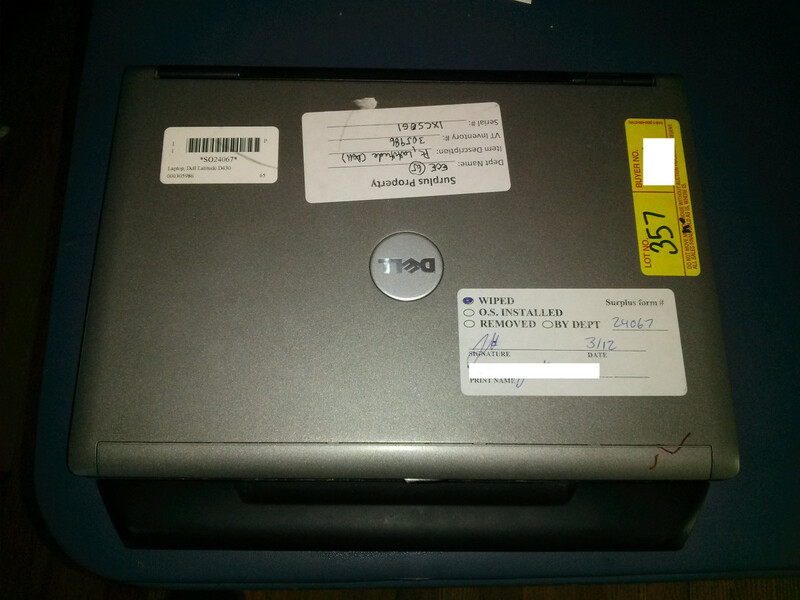 Very recently I acquired a second hand HP Deskjet D2545 for free on Craigslist. I was under the impression that all it would need would be ink and a USB cable per the description in the listing for it. However, turns out, it also needed a power adapter. 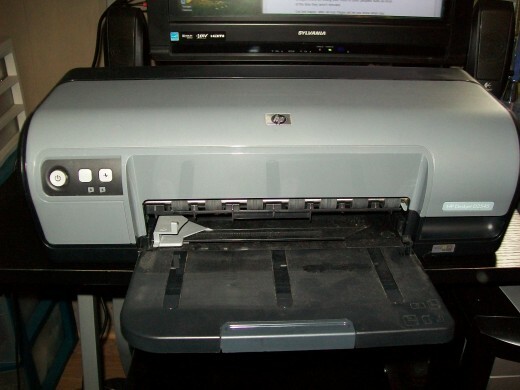 I took the printer all the same, I'm not one to turn down anything free, unless its truly broken or not worth the cost of accessories and other items needed to make it work. So...the first place I looked for a replacement power adapter for the printer was of course eBay...they were about $10 from one seller that I found. I wasn't ready to drop $10 on a power adapter when perhaps the printer wouldn't even power on or could be physically broken. I put this down as an option of last resort. Where To Get A Replacement Power Adapter? What I decided to do was to look for a used adapter elsewhere, in either a thrift store or on Craigslist. The printer itself listed the specifications for what type of voltage and how much current it needed from a power adapter to operate. It states on the back it needs a 32 volt input with at least 625 milliamps. Simple enough, just needed to find something that output that voltage and at least if not more, the 625 milliamps the printer wants. More milliamps is not a bad thing, it won't overload or burn up the printer just because it is over what is listed as required on the back. Think of it as having a light fixture that can handle two 100 watt bulbs, but you put in two 40 watt bulbs, they won't operate any differently or brighter or blow up than if they were installed in a fixture meant for no more than two 40 watt bulbs. 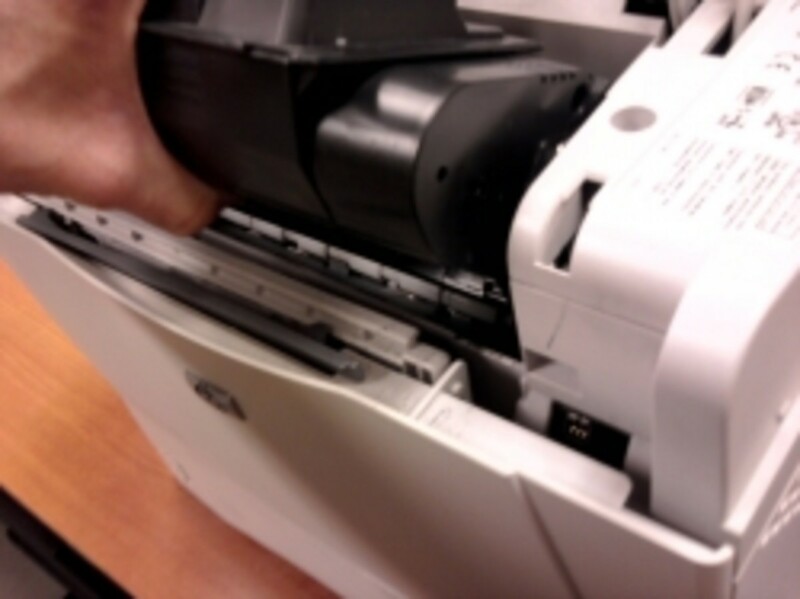 The part that has to match exactly is the voltage, too low and it might not work, too high and it might blow a fuse or burn something inside the printer. The next place I checked was a local Goodwill store nearby my workplace. Sadly, they didn't have what I was looking for. 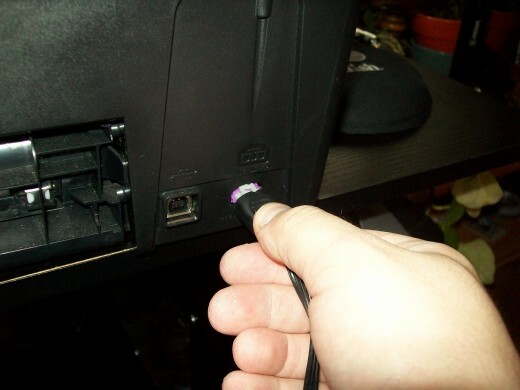 Then it occurred to me that our local YMCA thrift store keeps several boxes of power adapters and USB cables in stock. 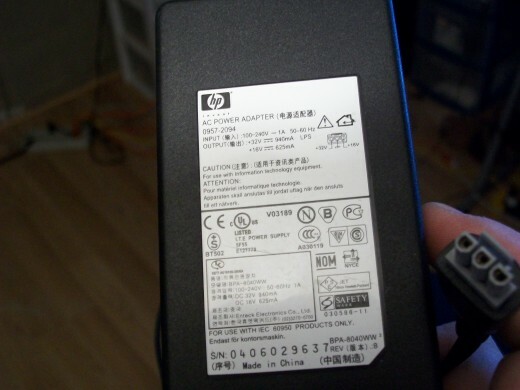 In the past I had seen several printer power adapters there, mostly for HP printers like what I needed. Rummaging through what was probably the world's biggest tangle of old adapters, cigarette lighters and extension cords, I did find a power adapter that listed what I needed, 32 volts at up to 940 milliamps. 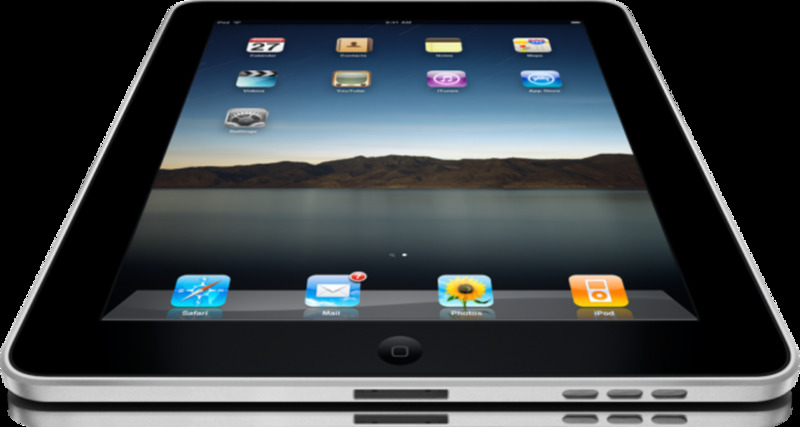 It also listed a 16 volt output at up to 625 milliamps. Now that wasn't part of the specifications listed on the back and a lazy Google search didn't turn up anything telling me whether or not this printer could use that adapter. 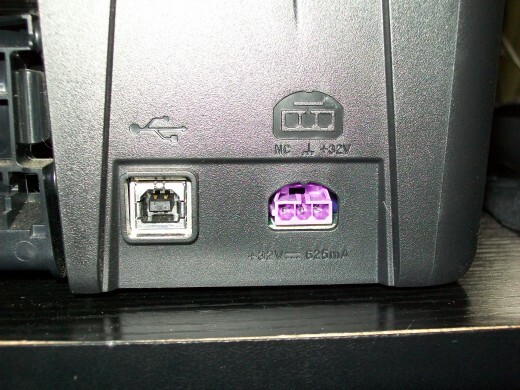 Well, on the back of the printer, the pin that carries the 16 volts would connect to a port on the printer power plug-in that is marked NC or not connected. I figured the worst that could happen would be either the printer or the adapter wouldn't work like this, or maybe a puff of smoke from either one. I plugged the adapter into the printer, then plugged the power cord into an outlet and waited a few seconds for sparks or smoke to appear. Finding none, I pressed the power button on the front of the printer and lo and behold it lit up, the printer made a whirring, grinding noise like most printers do. There were two old ink cartridges installed, so I loaded up a sheet of paper, plugged the USB cable in and Windows 7 recognized it immediately and it was ready to print within a minute. I opened an OpenOffice.org Writer window and printed a page filled with the word TEST repeating over and over. The printed page came out with almost nothing except what looked like the ghost of a word along the top of the page. Success! 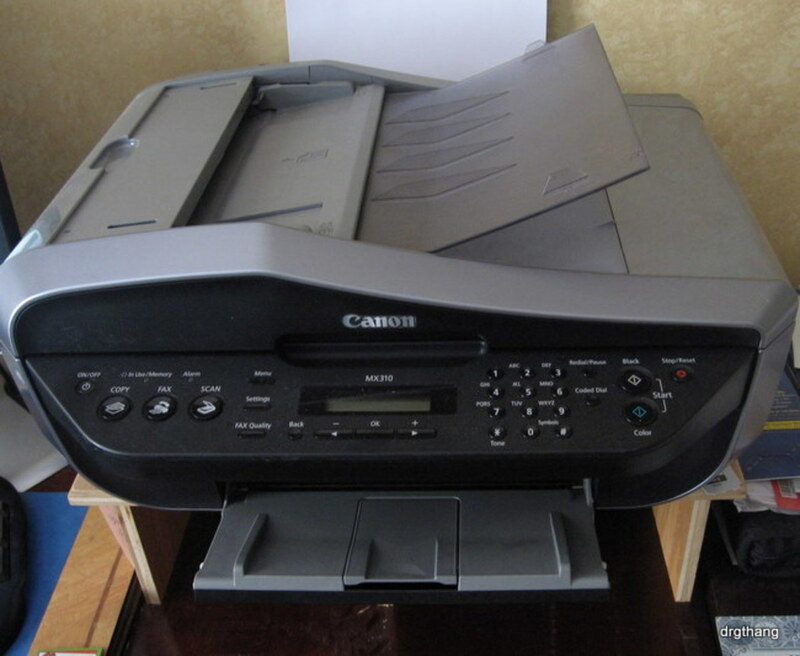 I now had a working printer...this one destined for my mother who was in desperate need of a printer. Now I just needed to get ink for it. Prices as of July 2014, not all retailers sampled but for HP ink, prices similar to other retailers, HP inks sometimes bundled with photo paper or envelopes. 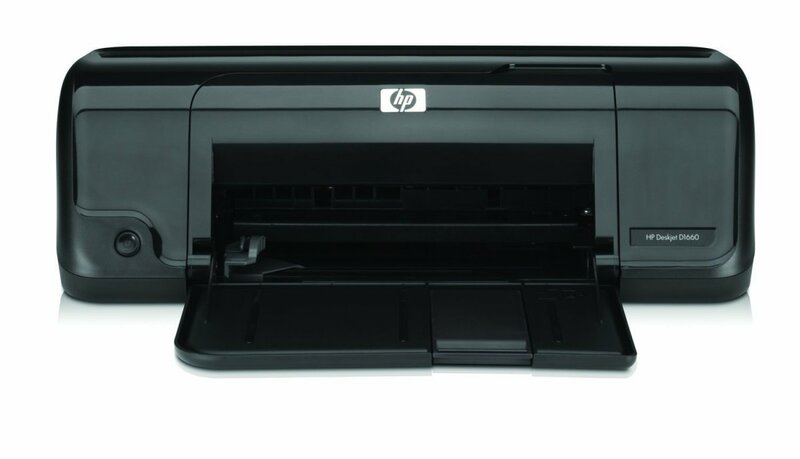 Looking online at Walmart's website and various other retailers like Amazon, I found that as a combo pack for the HP 60 ink cartridges, a black and color combo brand new manufactured by HP would cost at least $30. I took a look at remanufactured ink cartridges, which are basically OEM ink cartridges that have been refilled by a third party company, and packaged up for reselling. 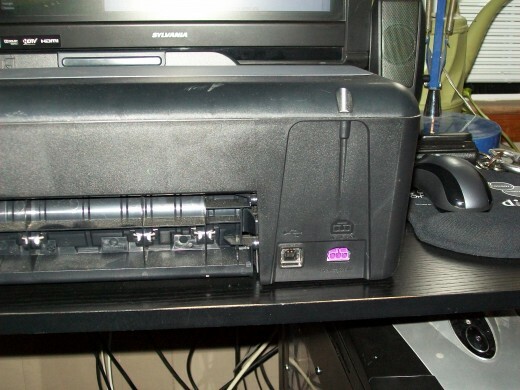 I found a seller on eBay offering an HP 60 black and color ink cartridge combo for about $10 with free shipping. I decided to try my luck on those. They arrived well packaged and sealed, and looked like the original HP cartridges, just the label was replaced by one from the remanufacturer. I snapped those puppies in, loaded some paper and printed some test sheets, like a text document and a photo. I expected to see some streaking or fade on the initial prints like if the ink hadn't reached the print head during the refilling process. But to my surprise, the document and the photo came out clean and clear, just like I'd expect from "real" HP ink. So for a little bit of time invested, $2 at the YMCA thrift store and $10 worth of ink, my mother now has a very decent printer for coupons and coloring pages for my younger siblings and printing out important documents. 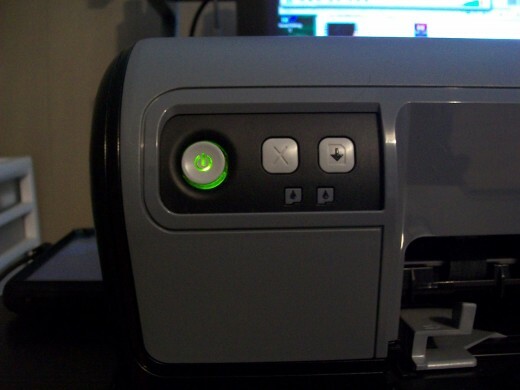 Honestly, one of these older model printers can be a very worthwhile investment versus buying newer printers that have "empty cartridge" circuitry in them designed to keep you buying name brand ink and prevent you from using re-manufactured or refilled ink cartridges to save money. 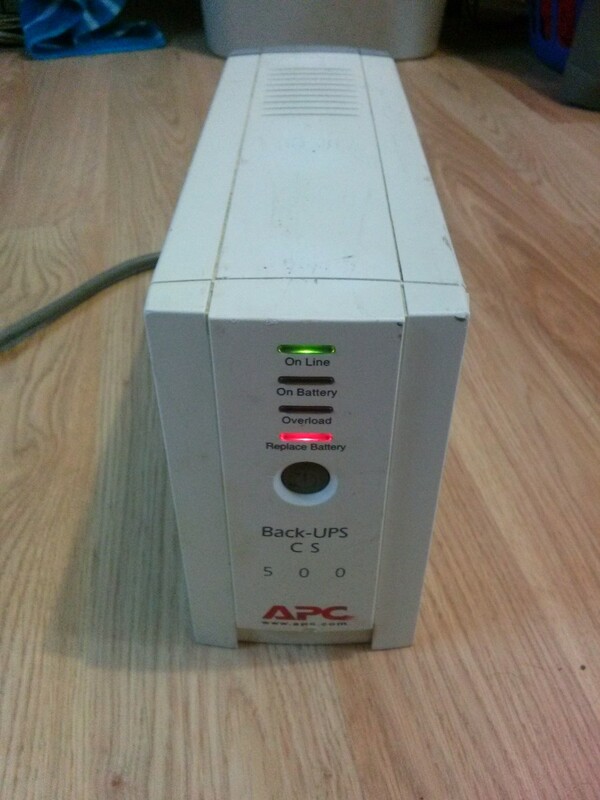 Replace The Batteries In Your APC Back-UPS Unit Yourself For Less!